Find of the week! Just when you thought you couldn’t be freaked out by toe socks enough, check out these beauties – the half-toe Bella grip socks by Toesox. 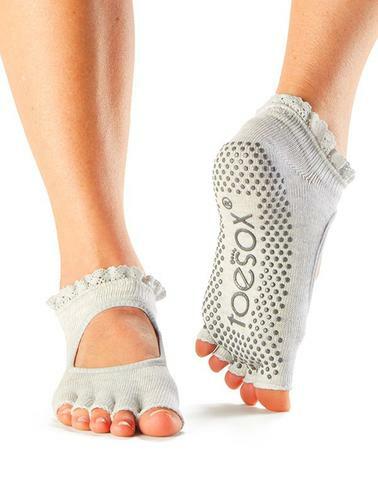 Perfect for those who can’t decide whether to do Pilates in bare feet or socks. Useful tread on the sole for a firm grip, nice lace trim and lots of holes to keep your feet cool and show off your toes. Cheapest source in the UK is here on eBay, where they’re available in three colours and two UK sizes (small – 3 to 5.5 – and medium – 6 to 8.5). They cost £10.25 including postage and packing.